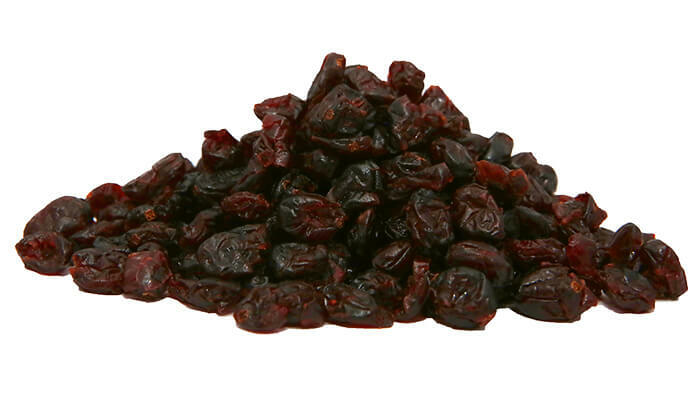 Eating a whole dried cranberry is a very different experience to the sliced cranberries. Both have the same delicious sweet and tart cranberry flavour, but you can bite into the whole version. Ideal for snacking, enjoy it alone or mixed with nuts, seeds and other dried fruit. Also great for decorating cakes and desserts. Dried Cranberries (Cranberries 65%, Cane Sugar). May contain traces of egg, gluten, milk, peanuts, sesame seeds, soy, sulphites and tree nuts.